Over 20,000 attendees from 38 countries and all 50 states in the United States flocked to RootsTech 2019 in Salt Lake City to discover a new ancestor or connect with living relatives. Another 80,000 tuned into the 9th annual conference online. 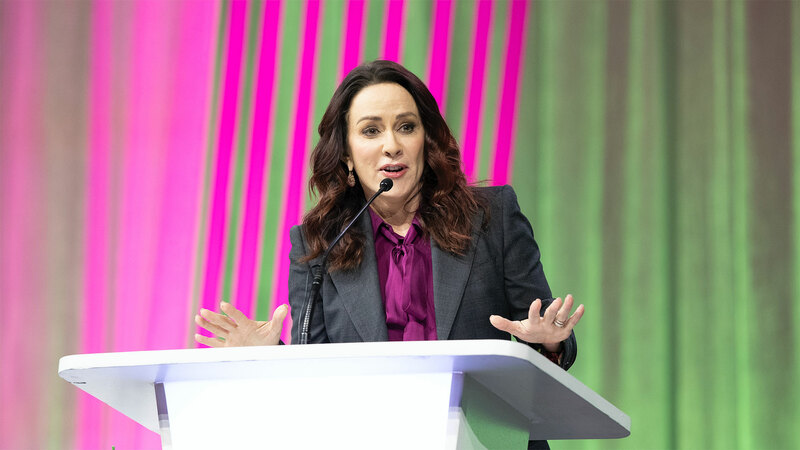 Celebrities Patricia Heaton, Saroo Brierley, and Jake Shimabukuro and FamilySearch CEO Steve Rockwood keynoted the popular 4-day event. Fun, new family history-related DNA services, and other discovery technologies were highlighted, along with hundreds of how-to classes for beginners, enthusiasts and families. 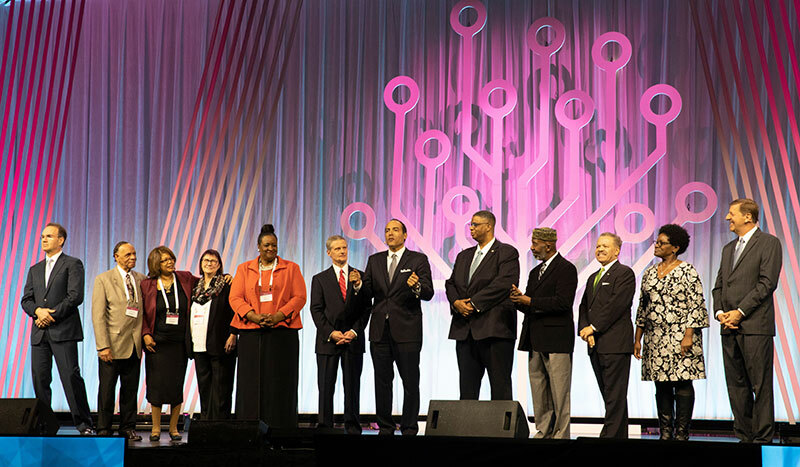 RootsTech London 2019, the first international location of the conference, was also announced and will take place on October 24—26, 2019. Two hundred exhibitors demonstrated their products and services in the larger-than-ever RootsTech Expo Hall. Platinum sponsors of the show, Ancestry.com and MyHeritage.com, announced enhancements to their popular consumer DNA services that increase the ability to connect with living relatives and identify common ancestors through DNA matching. Elder David A. Bednar, of The Quorum of the Twelve Apostles of The Church of Jesus Christ of Latter-day Saints, took the stage to offer a $2 million dollar donation to the International African American Museum's (IAAM) Center for Family History in Charleston, South Carolina. Michael Moore, CEO of IAAM, graciously received the donation along with other African American dignitaries. Patricia Heaton, American's favorite mom from The Middle and Everybody Loves Raymond, warmly recounted stories of her youth and how her upbringing was paramount to her success. “Family is the place where you get your sense of self,” she said. “We all have this primal and spiritual need to connect with our ancestors. It tells us who we are and where we came from and gives us the courage to struggle through, as our ancestors did. 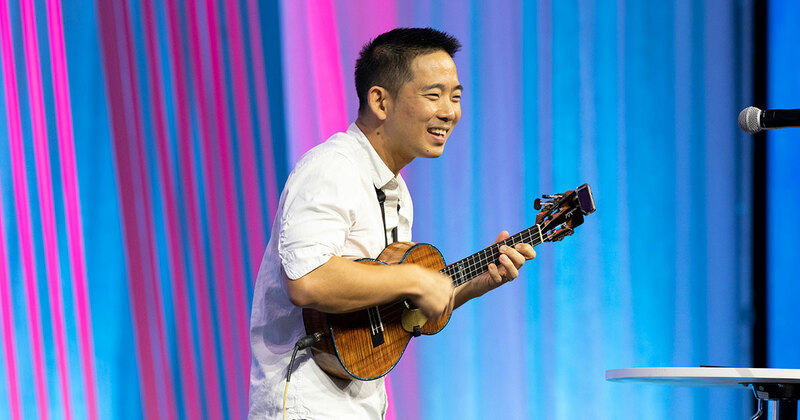 Jake Shimabukuro, a Hawaiian-born, award-winning ukulele master, wowed the audience with a hip version of the Bohemian Rhapsody on the 4-string instrument. He was passionate about the instrument from the moment it was placed in his hands at the age of 4. “There was something magical about the sound and how it made me feel." Shimabukuro also shared brief, heartfelt, humble insights and wisdom he has learned from his family over the years and inherited from his Japanese heritage and the Hawaiian culture in which he was raised. Enge Van Wagoner, a Jacksonville, Florida, resident, was the grand-prize winner of the RootsTech 2019 Film Fest sponsored by Delta Airlines, Hess Travel, and the Deseret News. Van Wagoner won a business-class roundtrip tour for two to the ancestral homeland of her choice. You can view the RootsTech 2019 keynotes and general sessions freely online. For those who missed the conference or would like to view more recorded content, a virtual pass can be purchased for $129. This pass allows a user access up to 18 recorded sessions from the event to watch and re-watch for 12 months after the videos post. Purchase or learn more about the Virtual Pass. Too bad none of the locations are accessable to me I would have loved to attend to learn more about my Roots. Where can I read more about this. Roots Tech is an extension of the extraordinary Family Search website. Access to many streaming lectures - for free (like the website) helps us all connect to our families. An amazing and valuable resource. Taking my time, readung on of email, I discovered the Family Search Weekend. It is an answer. Spuritually an answer. Techically i am at an impass struggling with genealogy. I use your .com years and have found dirth of relatives. They get lost as i cant follow generations to today to contact in today's generation. I find your program spectacular and relish with my new found family though deceased. From Buffalo to New Bedford (?) Vilna to Brookline. i have ancestry.com is this roots tech like ancestry? and is it free? 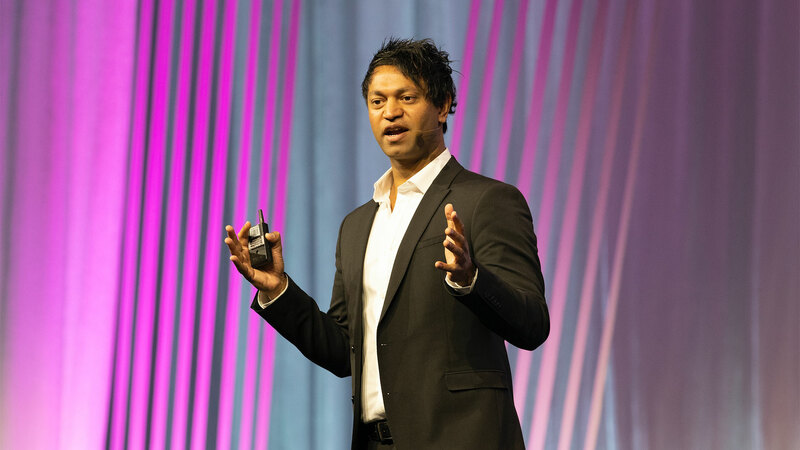 RootsTech 2019 in Review: Read the conference stats and view the highlight videos of RootsTech 2019, including keynotes Steve Rockwood, Patricia Heaton, Saroo Brierley, and Jake Shimabukuru.